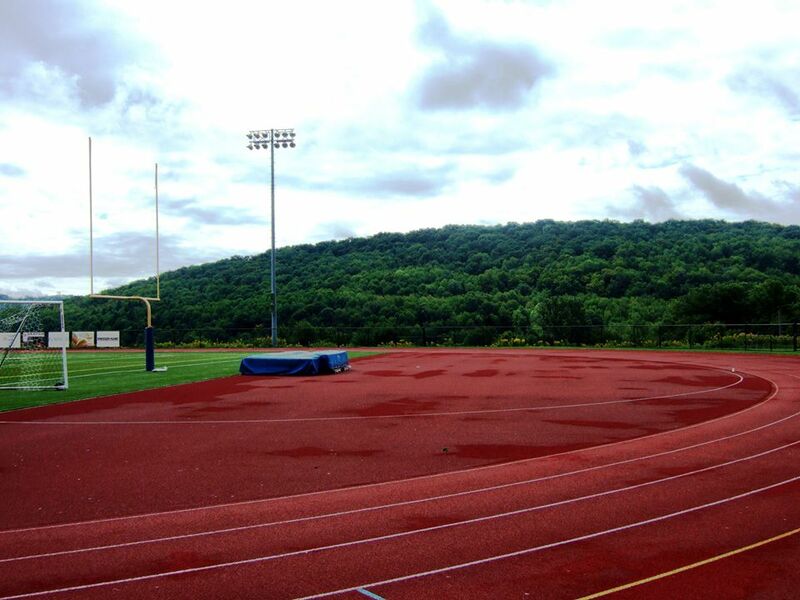 On a windy day last summer, I took a walk on that firm but forgiving track. Above the line of trees, the blades of the college’s wind turbine were revolving briskly. And on the tall flagpole near the entrance, the American flag was flapping audibly. I was reminded of an old Zen story, which features a pair of quarrelsome monks and the enlightened master Eno, the Sixth Patriarch of Zen. In this story, the two monks are arguing about the movement of their temple flag. The first contends that it is the flag that is moving. The second insists that it is the wind that is moving. Into this heated dispute, Eno intervenes. “It is not the flag that moves,” he informs them. “It is not the wind that moves. It is your mind that moves.” The quarreling monks, so the story goes, are “awestruck” by Eno’s observation. Perhaps so. But moving–generating thoughts–is what human minds do, twenty-four hours a day. Kosho Uchiyama, a twentieth-century Zen master, describes thoughts as the mind’s “secretions,” suggesting that the process of thought-creation is both natural and irrepressible. And broadly speaking, what Zen teachings discourage is not thinking per se but excessive thinking, which distracts us from present realities, and delusive thinking, which brings suffering upon ourselves and others. To counter both, the Zen tradition offers numerous teachings and practices. Foremost among these is the practice of zazen (seated meditation). The classic posture of zazen, in which the two knees and the sitting bones form a triangle and the body a kind of pyramid, fosters stability of mind. To enhance that stability, Thich Nhat Hanh advises us to silently recite the verses, “Breathing in, I see myself as a mountain. / Breathing out, I feel solid.” By so doing, we cultivate a feeling of solidity, emotional and physical. In similar fashion, the practice of chanting reinforces a sense of stability. Zen practitioners chant from the lower abdomen. Sometimes accompanied by a wooden drum, the act of chanting unites the body, breath, and mind. In the Falling Leaf Sangha, our local Zen practice group, we precede our sittings with the chant “Atta Dipa,” which is said to incorporate the Buddha’s last words: “Atta Dipa / Viharatha / Atta Sarana / Ananna Sarana // Dhamma Dipa / Dhamma Sarana / Ananna sarana” (“You are the Light / Rely on yourself / Do not rely on others / The Dharma is the light / Rely on the Dharma / Rely on nothing but the Dharma“). In this context, “Dharma” may be interpreted as “the laws of reality,” particularly those of impermanence and interconnectedness. By chanting “Atta Dipa,” we declare our intention to rely on direct experience and remain grounded in things as they are. Have you ever noticed that your awareness of pain is not in pain even when you are?. . . Have you ever noticed that your awareness of fear is not afraid even when you are terrified? Or that your awareness of your depression is not depressed; that your awareness of bad habits is not a slave to those habits? Extolling its power to transform pain, Kabat-Zinn likens awareness to a “basket for tenderly holding and intimately knowing our suffering in any and all circumstances.”** Our awareness is not angry when we are angry or sad when we are sad. It allows all things but is limited by none. In contrast to the forms that pass through it, awareness is formless and immovable. “The enlightened mind,” writes Sekida, “does not move.” All too often, however, our not-yet-enlightened minds resemble that wind-blown flag, flapping this way and that. At such times, we can restore our equanimity by returning to the posture of meditation and resting in open awareness, which is never far to seek. On the contrary, it is readily accessible and reliably present, wherever we may be. * Katsuki Sekida, Two Zen Classics (Weatherhill, 1977), 97. ** Jon Kabat-Zinn, Coming to Our Senses (Hyperion, 2005), 88, 90. Lani & David – Thanks for your comments. “It is not the flag that moves,” he informs them. “It is not the wind that moves. It is your mind that moves.” : Could Eno be the father of quantum physics? (just kidding, I think…).